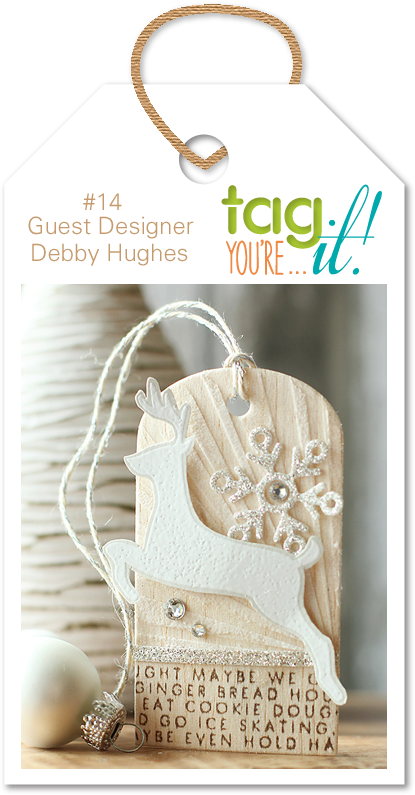 It's time for new inspiration at Tag You're It! The softness and colours are so gorgeous! When I create a project from an inspiration, whether it is a tag or a card, I start off by studying the photo. I look at the make up of the design, essentially make a sketch in my head or in my notebook. Then I think about the elements that were used, the shapes, the sizes, the materials, the colours and the theme. Taking it all into account I plan out how I am going to interpret the inspiration and make it my own. 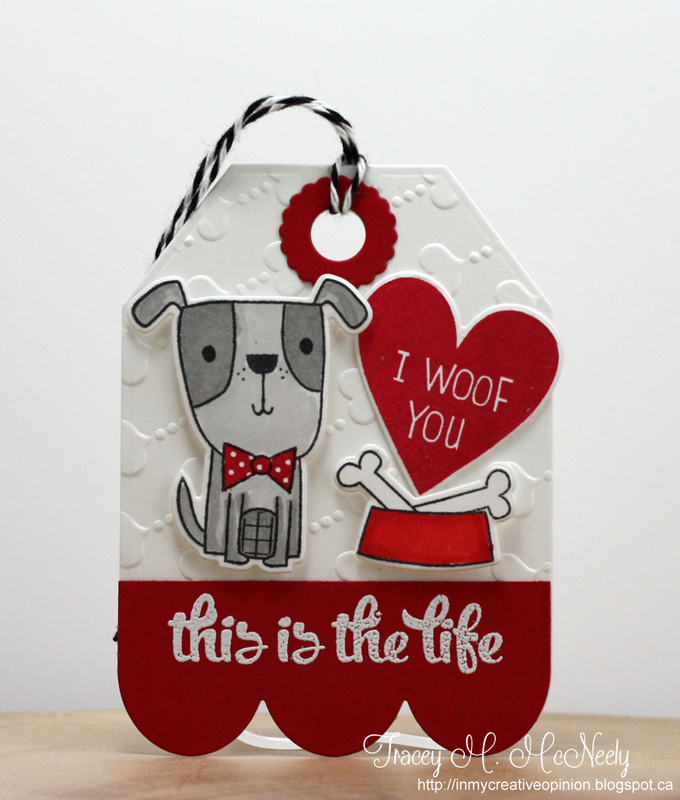 I was inspired by the embossed background, the die cut elements, the band across the bottom of her tag and the theme. Where Debby's tag is Christmas themed mine is Valentines themed. I am playing along with Joni Andaya her sketch for the Winnie & Walter Birthday Bash today. 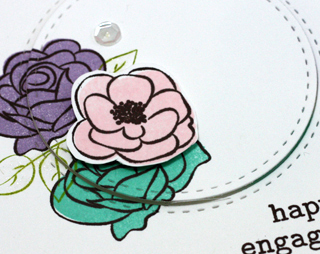 I love the flowers on The Big, The Bold and The Extra stamp set. 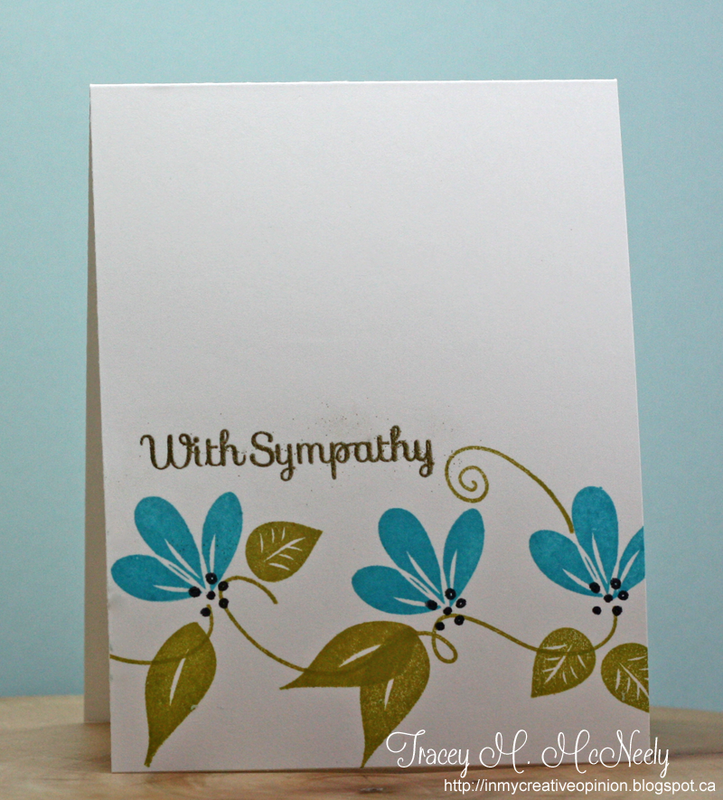 I started by stamping my flowers and sentiment on a 4" x 5 1/4" panel. 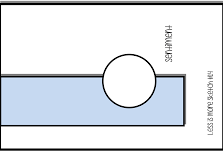 Then I die cut a circle and removed it temporarily. I adhered the panel to the base and then put the circle back in with foam tape. Finally I fussy cut and added the pink flower. 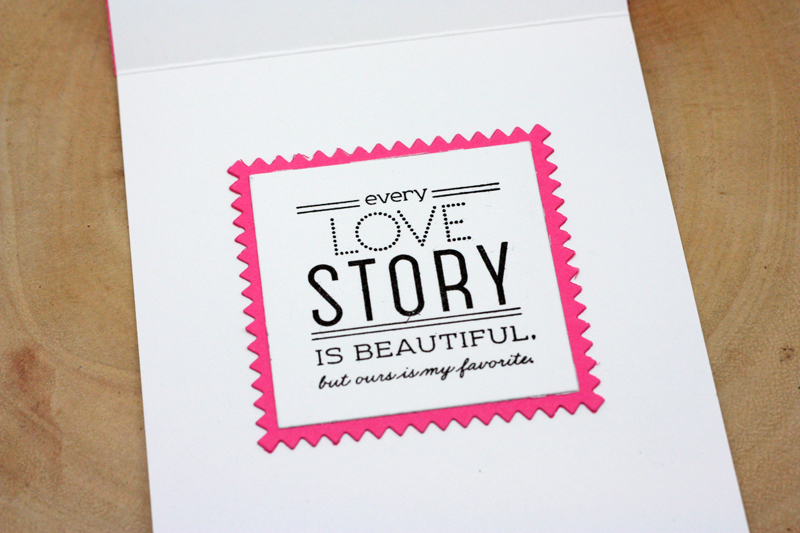 This card is going out to my nephew and his beautiful fiance . 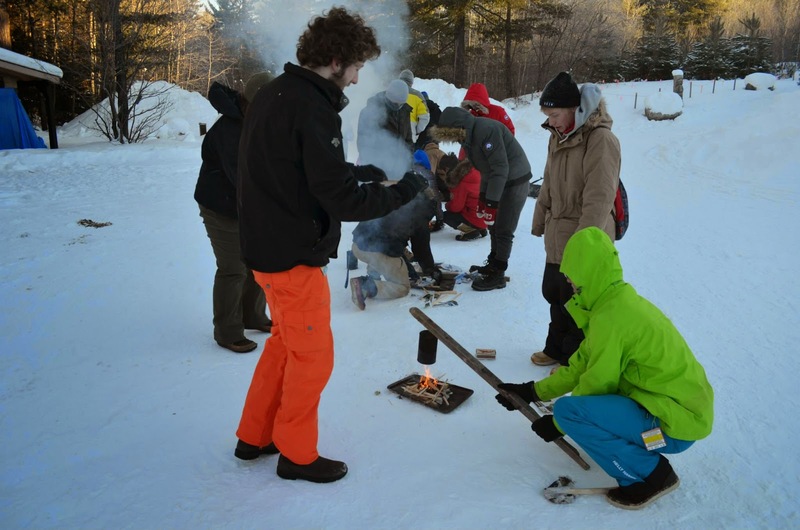 Apparently they are boiling water over a fire???? I assume there is some education benefit to this. Another card for the Winnie & Walter Birthday Bash. I started off with a 4 1/4" x 5 1/2" piece of white cardstock. I sponged Distress Ink over the Scenery Triangled Creative Screenings--Fired Brick, Spiced Marmalade, Ripe Persimmon and Picked Raspberry. 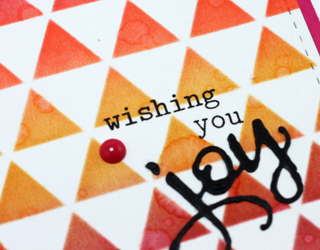 After I finished sponging I die cut the panel with a stitched mat die. I love how water reacts with Distress Inks so I flicked some water on the panel--don't you love it when one of your flicks is more like a Tsunami? Ugh! Really love these colours together though. 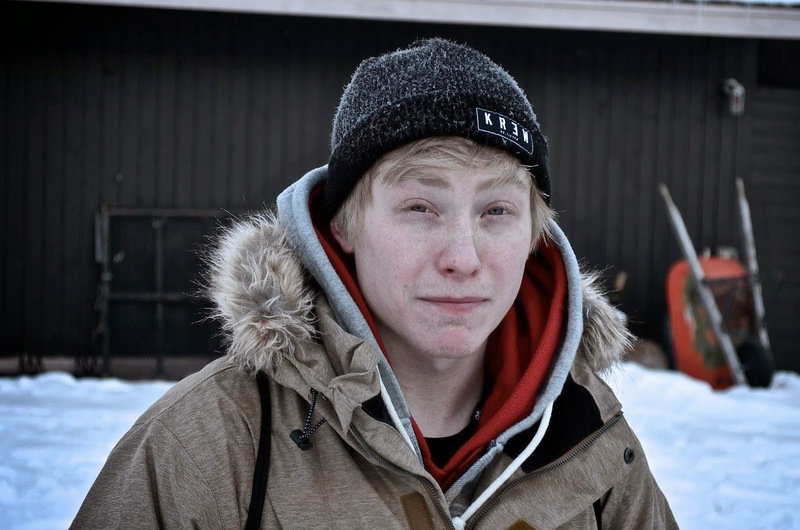 I am welcoming Lena as my newest follower today, all the way from Norway! 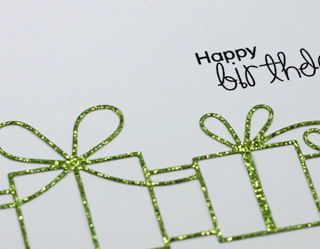 A simple die cut along with some bright green glitter paper makes for a fun and festive card. I snipped off the last present at each end of the die cut to bring the image in a bit, thank you Lisa Addesa for the idea. 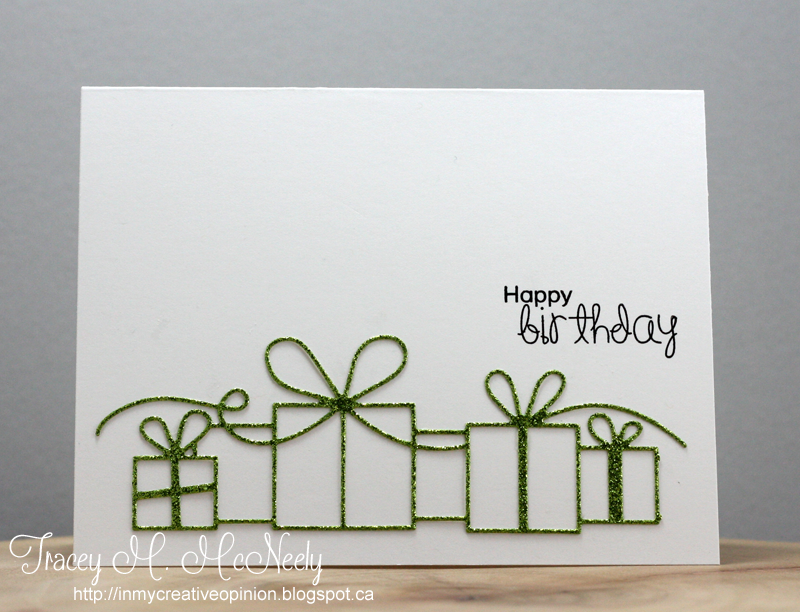 I used the sketch at Less is More for my card but first turned it to the left 90 degrees. 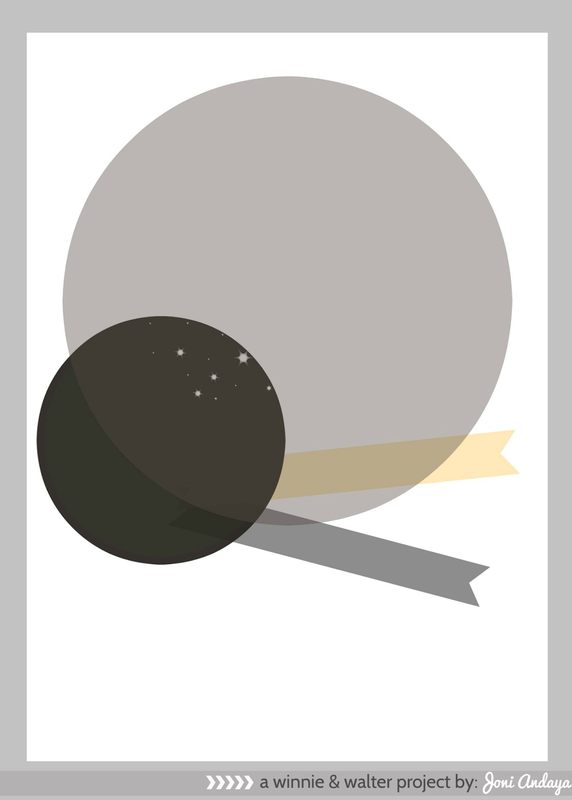 I am also linking this up to the current Less is More challenge - Sketch! Amazing how that happened this week. Happy Monday, I hope you had a wonderful weekend. Spent lots of time organizing this weekend, the weather outside was frigid so organizing in my craft room seemed the right thing to do. I have most of my supplies organized but pre-Jennifer McGuire I had most of my clear stamps on 8 1/2" x 11" acetate in binders on the shelf. So anything new in the last 2 years is new system but those older stamps needed to be converted over. So I as trimming them down and dropping them into the pockets. Man I have a lot of stamps! The task isn't done, but I did a lot. 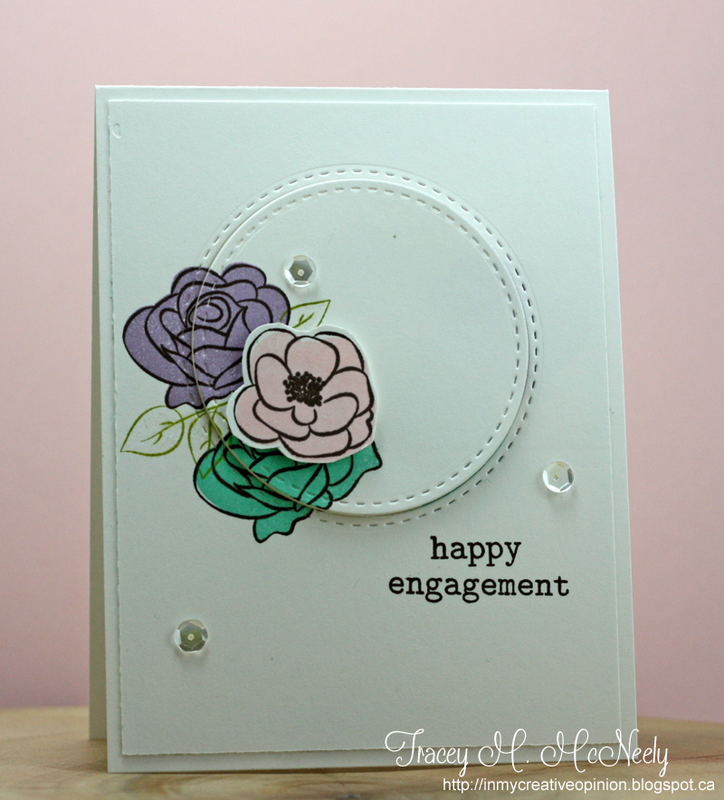 Marion's gorgeous card was, for me, a tricky one to tackle but I came up with something that was inspired by her card but definitely more in my comfort zone. 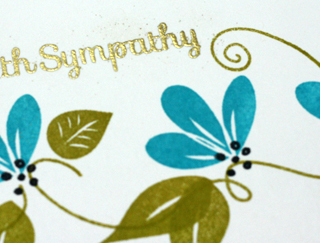 Sadly I have a need to replenish my Sympathy cards. I have had to send out far too many in the last couple of months--elderly, a child who was far far too young and some fur babies too. 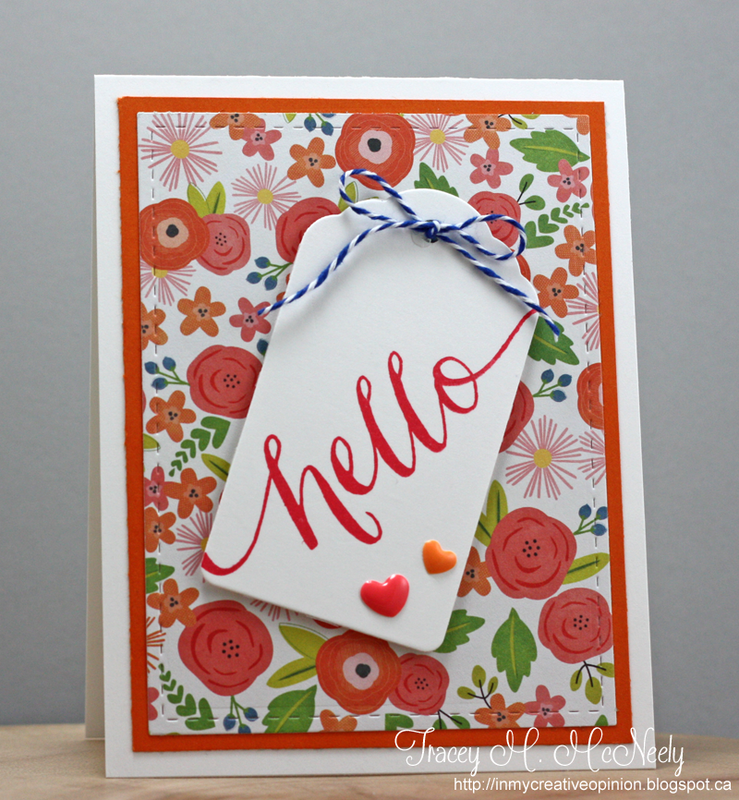 I used an older Papertrey ink set called Flower Garden for my card. I just got this set last summer, but it was on my wish list forever. I love how you can build the flowers however you chose. 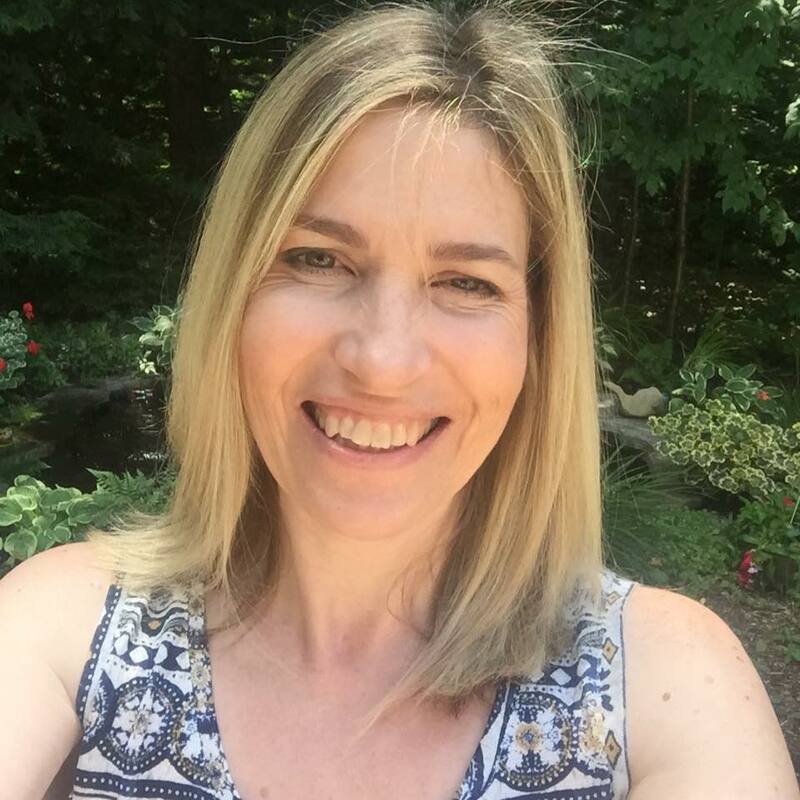 Welcome Nancy who is a new follower to my blog, you should check out her blog she has some fabulous projects and a great sense of humor too! 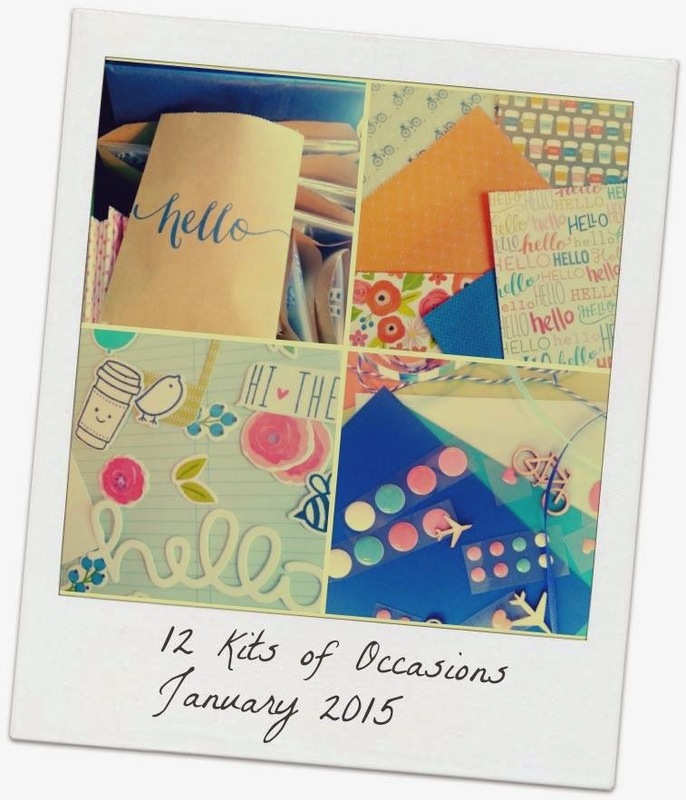 It's the 25th of January already and time for this month's Papertrey Ink's Blog Hop! I have not hopped in a long time but this month I could not resist the theme. 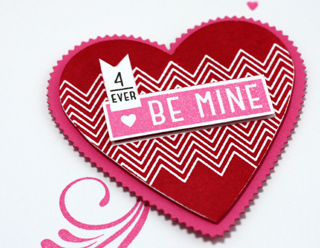 The jingle bells have been put away for this year and now it is all about hearts. 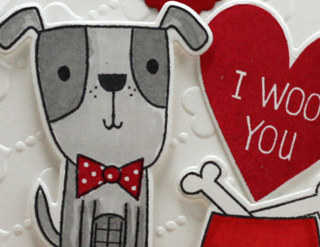 We were asked to make a 'heartfelt' Valentines card decorating both inside and out. I ordered some new PTI Valentines sets and dies in December and had it delivered to my hubby. It arrived the day after he came home for Christmas, so long story short my December PTI is flying home with him this week. In the meantime I pulled out some older sets to play with for the Blog Hop. 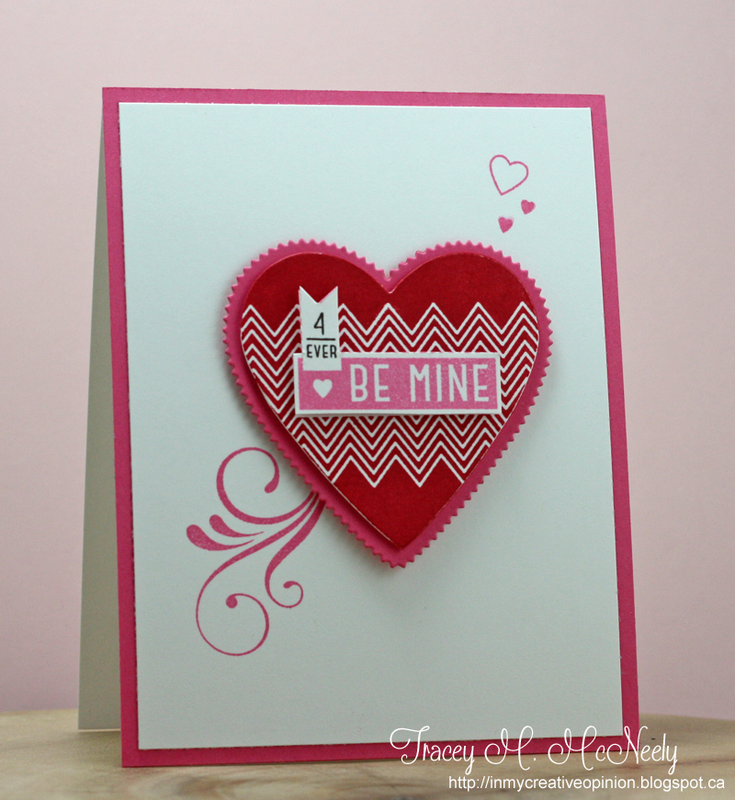 I created the dimensional heart by stamping the heart from With All My Heart in both red and Hibiscus Burst and then cut out the Be Mine and tiny tag, then adhered it to the red heart with foam tape. I added a few tiny heart and a flourish to finish out the front. 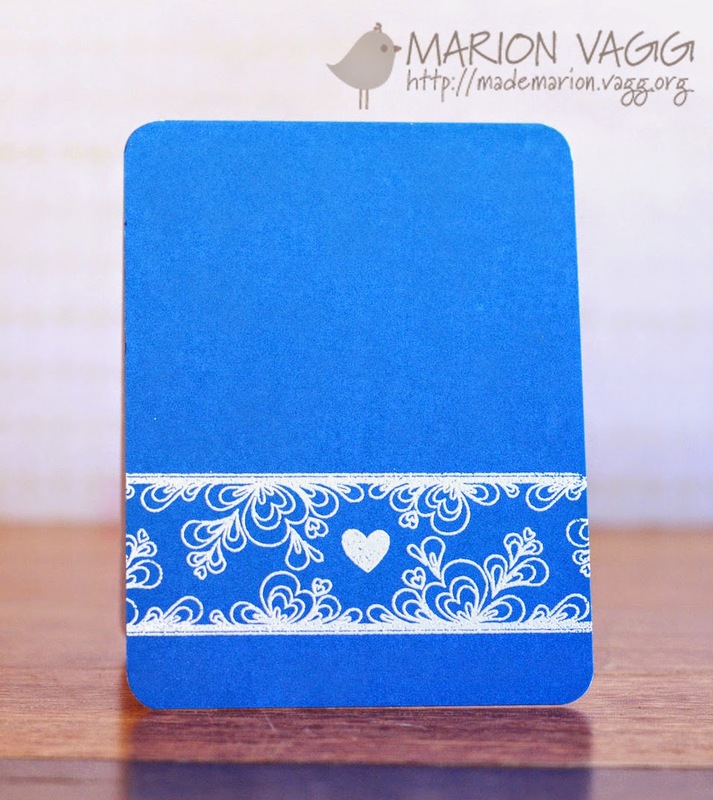 I am also submitting this to the Simon Says Stamps Wednesday Challenge Have a Heart! Welcome Trendy Twine to my blog. Four years ago today I made my first, very awkward post, here at In My Creative Opinion. I started in on this adventure as a place to chronicle my life and a place to put a card for a challenge. It didn't take long to find out there was a world of wonderful crafters our there, whom I now call my friends. 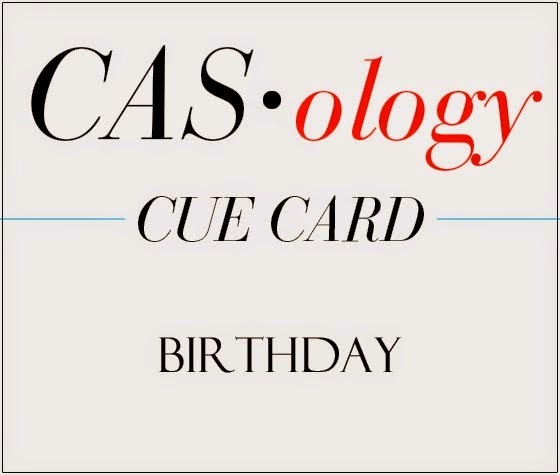 There have been a few more cards, many times that I shared my life with you and I imagine there will be many more. My blog and this community have become so very important in my life. I am much more confident than I was in the beginning and I have you to thank for that. I appreciation of you who follow me and comment on my posts I have some blog candy to share with one lucky commenter on today's post. Tell me why and when you started your blog and if blogging has changed you as a crafter. 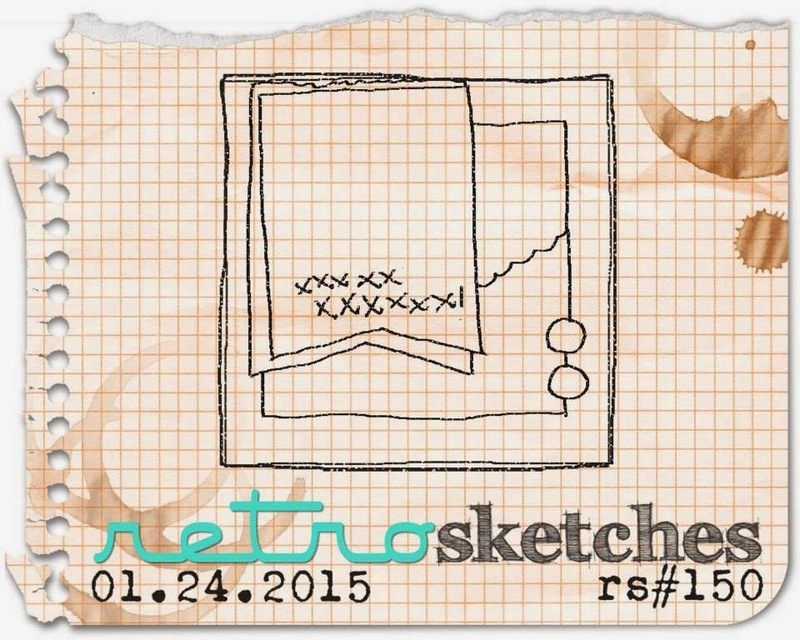 Today we have another new sketch at RetroSketches. 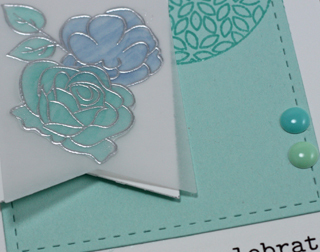 My card uses lots of embossing and some Winnie & Walter stamps. I am submitting this card to both Winnie & Walter's Birthday Bash Collage with Laura and Winnie & Walter's Color Combo Challenge with Heather. 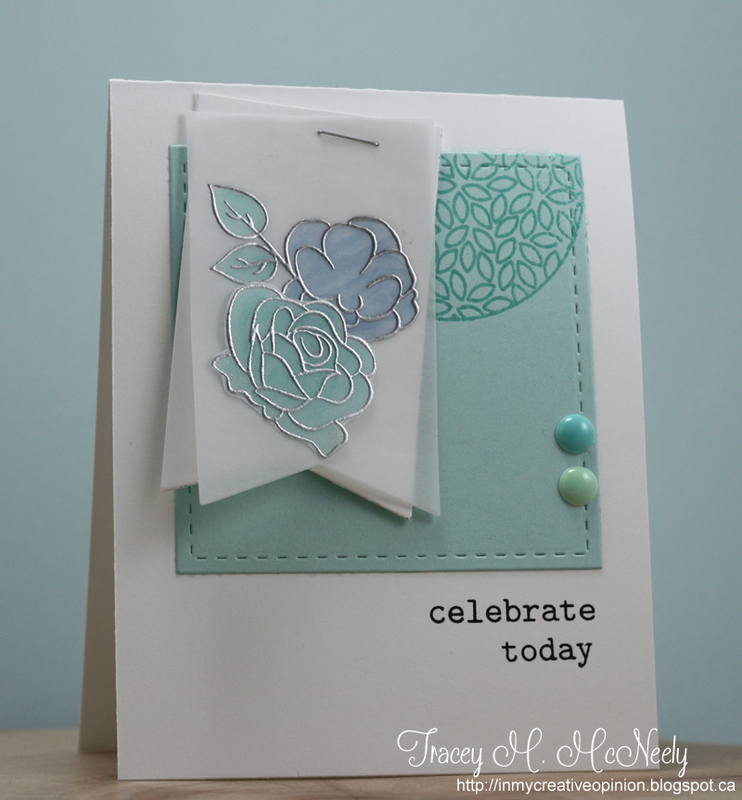 I used clear and silver embossing, Copic colouring, vellum and layers to build my card which uses the colours silver/aqua and blue. 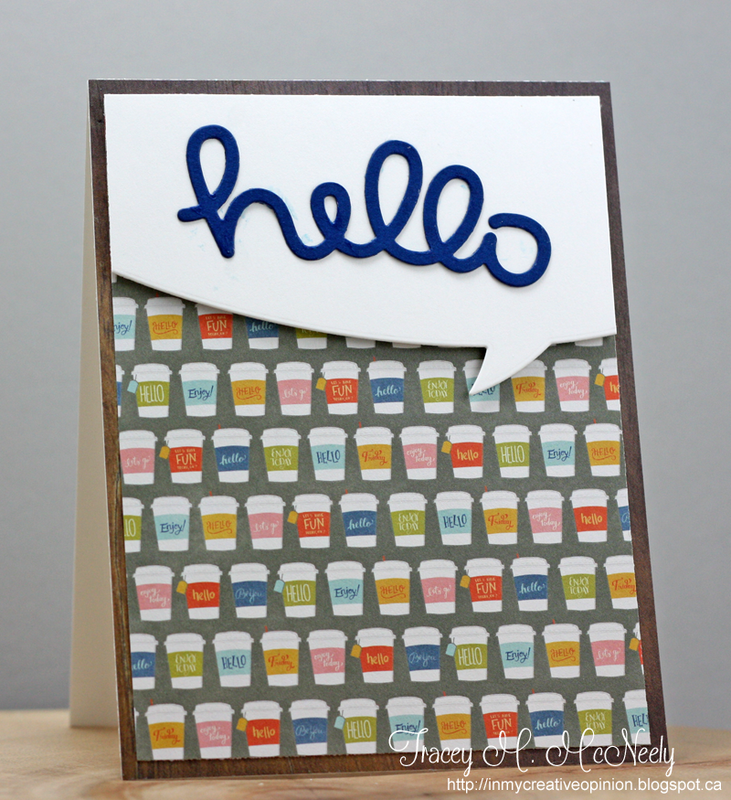 Shannon, who is a new blogger and makes the sweetest cards pop over to visit her you won't be disappointed. Esther, also another new blogger you will want to visit! Don't forget my blogaversary contest and enjoy the rest of your weekend.